Significant events, summarized for your reading convenience. In this inaugural issue, we also publish highlights from the past few years. PROVINCES OF GALRIN, NOVARI, SHON-XAN— Ionia has defeated Noxus on the Fields of Justice in a battle for ownership of the provinces of Galrin, Novari, and Shon-Xan. Noxus had seized these provinces by conquest in 13 CLE, but assented to new League adjudication of the matter. HALL OF HEROES, Institute of War— Ionia has purchased the Innervating Locket from the League’s armory and given it to Summoner Robert the Guardsman in commemoration of his valiant efforts in the conflict with Noxus. Delegates from the provinces of Galrin, Novari, and Shon-Xan, which the Summoner helped to free from Noxian rule, were present to offer their gratitude. He had made skillful use of the locket during the matches against Noxus, channeling its power down to the Fields of Justice to assist Udyr. At the ceremony, Udyr himself gave Summoner Robert a mighty hug, an unusual display of warmth from the gruff Champion. Over endless cups of exquisite Galrini tea, Karma and other luminaries discussed arcane theory and the strategy of League competition with “Guardsman Bob” long into the night. KALAMANDA— Prince Jarvan IV and his soldiers have attacked General Swain by ambush, and Kalamanda has erupted into war. There has been a tense standoff in the small village ever since two nexuses and large deposits of precious metals and gems were discovered here about a year ago. The League has ordered an immediate truce; representatives of Demacia and Noxus object to the order. Analysts doubt that the League has the power necessary to secure compliance from the two mightiest armies in Valoran, and fear that a new Rune War could soon begin. Were either side to secure the nexus and harness its power, it is believed that their adversary would be all but required to resort to rune magic to prevent their total annihilation. KALAMANDA— Acting on direct orders from the Council itself, hundreds of Summoners surrounded Kalamanda and used an ancient Urtistani chronostasis spell to “freeze time” in Kalamanda, forcibly halting the combat between these two founding member-states of the League. Demacia and Noxus immediately deployed reinforcements. The day before these new forces reached Kalamanda, however, leaders from the two nation-states emerged from reportedly tense talks with the Council. To the astonishment of observers, Demacia and Noxus have accepted the League’s sanction for their violation of its decree. They have been stripped of all claims to the disputed territory, which will be turned over to the League itself. KALAMANDA— The chronostasis spell used by the League against the clashing armies of Demacia and Noxus has left Kalamanda completely uninhabitable and a risk to the stability of Valoran’s arcane world-matrix. The League has resolved the matter by linking the two nexuses together and redirecting the ambient energies into the arcane foundations of a new Field of Justice, dubbed the Crystal Scar. Construction has awoken an ancient crystalline creature, “Skarner”, who calls himself a “brackern” and claims to be a member of a civilization driven into hiding by the Rune Wars. INSTITUTE OF WAR— After a fierce contest on the Fields of Justice, Zaun has prevailed over Demacia and won a crystalline arcane focus known as the “Prism Shard”. It was discovered when a Zaunite research team exploring the Crystal Scar was caught in an explosive thaumic reaction and rescued by a Demacian team investigating an adjacent plot. Amid conflicting accounts of who first uncovered the artifact, and legal disputes as to whether a research team reacting to an emergency has a claim to incidental discoveries, the matter was referred to the League of Legends for adjudication. The Council has placed the Prism Shard into the custody of Renekton for delivery to Zaun proper. Renekton was seen speaking with another Champion, Ahri, in private quarters, before departing the grounds of the Institute. OBSIDIAN WARD, Noxus— Jericho Swain has defeated Keiran Darkwill in a duel and ascended to the highest position of power in Noxus, that of the Grand General. Darkwill issued the challenge to mortal combat after months of political maneuvering. The coup de grace was administered by General Darius, “the Hand of Noxus”, once Swain had rendered Darkwill helpless. INSTITUTE OF WAR— Summoners will no longer be permitted to use the mystical suit of armor called “Force of Nature” as an enchanting focus to aid their Champions. Though removed largely for the sake of fair competition, Summoner Xypherous of the Riotous Fists Clan also implied that it posed a risk to Summoners and the Fields of Justice due to the unusual combination of energies it contains. It will be transferred to the archives, where it will remain accessible for research purposes only. INSTITUTE OF WAR— A magical substance, resembling molten silver but ice-cold to the touch, has been discovered in the impact crater of a meteor which crashed in League territory. Demacia, Ionia, Piltover, and Noxus have all laid claim to it. Their claims will be adjudicated by the League. NOXIAN EMBASSY, Institute of War— Riven has declared for Noxus in the Mirrorwater dispute, ending years of self-imposed exile. Noxus had appeared poised to recruit the Zaunite chemist Singed until Riven’s last-minute arrival at the gathering of Champions and Summoners. There are reports that Singed’s asking price had been access to the Mirrorwater for the purpose of putting his techmaturgical poison gas into large-scale production, a proposition surely troubling to Riven, who while fighting in the Noxian invasion of Ionia was the sole survivor of an indiscriminate gas attack that killed both her troops and the enemy soldiers who had surrounded them. Analysts say that the decision may signal a resurgence of reformist sentiment within Noxus. INSTITUTE OF WAR— An ad hoc alliance of the Avarosan, Winter’s Claw, and Troll Tribes has entered the Mirrorwater dispute and emerged victorious. Mages from the renowned Frostguard have extracted the Mirrorwater from the crater and transported it back to the Freljord for distribution among the three parties to the so-called “Freljord Resolution”. INSTITUTE OF WAR— The Shadow Isles, a mysterious region known primarily as the site of the Twisted Treeline, has been recognized by the Council as a member-faction of the League of Legends. An obsidian hall has been constructed on Council grounds and placed under dominion of the Shadow Isles. CERULEANA, Conqueror’s Sea— Ownership of the mystical island of silver-blue ice called “Ceruleana”, which recently rose from the Conqueror’s Sea between the Freljord and the Shadow Isles, has been awarded to Demacia following its victory. Demacian priests and mages, including several Summoners, voyaged to the island to purify it of suspected necromantic contamination and awoke an ancient guardian ocean spirit. The sea-spirit, who calls herself Ceruleana, has granted Demacia her power. The island has become a cosmic beacon of Order. Ionian representatives warn that they sense a great imbalance which will soon be “corrected”. WORLDWIDE— Discord and panic reign across Runeterra as Void demons tear through portals into our dimension and the dead rise up from the grave to seize the living. Champions have been recalled to their nation-states to mount a desperate defense against the hordes. Cho’gath and Kog’maw have broken free from the Institute, and have reportedly been sighted on the battlefield. Summoners have had horrifying visions of a massive rift in Icathia whence come an endless succession of otherworldly terrors. INSTITUTE OF WAR— The Council has announced that following an audience with Malzahar the Institute of War will recognize Icathia as a sovereign domain. Malzahar has agreed to temporarily halt the Void’s invasion if the member-states of the League will meet him and his allies in battle on the Fields of Justice. The stakes: the “right” to invade Noxus. NOXUS— After its victory on the Fields of Justice, the demonic hordes of the Void advanced on Noxus. Malzahar proclaimed that Runeterra would be consumed piece by piece, beginning with Noxus, “the strength of Valoran”. But an alliance of nations including Demacia, Ionia, Piltover, Bandle City, and Zaun deployed their forces to make a united stand at the city’s gates. After days of horrific combat, the Void was defeated. Runeterra rejoices as the demons flee, though losses were great. The League’s Summoners have pledged to do their utmost to cleanse the vast swaths of Noxian territory that have been contaminated by the Void, but admit they do not know how such a feat might be accomplished. The Council has encouraged other member-states to grant temporary settlement rights to the many Noxian refugees whose homes are now uninhabitable. SHON-XAN, Ionia— With much Noxian land poisoned by Void ooze and haunted by alien demons after the Battle of Noxus, tens of thousands of refugees have fled in search of new homes. Some have settled in the Ionian wilderness on the island known as Shon-Xan. Ionia has rejected the Council’s non-binding “encouragement” to offer humanitarian concessions to these refugees, and demands their removal. Meanwhile, we have received reports of disorganized skirmishing, including raids on the settlement by local Ionian villagers. It is said that one settlement has been completely destroyed. TINCTURE STREET, Zaun— The first vials of Pharmakon and Cho’kolade went on sale in Zaun today, flanked by packets of SpectriYum and tablets of Porphex. This marks the aggressive multi-product launch of a new line of functional comestibles by Zasho Brands, makers of best-selling energy drink ThaumaKola. Although their specific recipes have been zealously guarded by corporate security procedures and an aggressive litigation strategy, they all contain as an active ingredient Void ooze gathered from contaminated Noxian territory. A required warning label stating that “Noxian toxicological byproducts are incorporated into this formula” has become an unofficial metabrand logo, spawning the slang term “NoxiToxi” among the youth. The biggest hit so far appears to be Pharmakon, an arcanoelixir which gives imbibers limited psionic and telepathic abilities. Zaun’s bars have begun doing a brisk business in the mixed drink called “PharmaKola”, made by adding a shot of Pharmakon to a tumbler of ThaumaKola. Summoners should note that the use of NoxiToxis is not permitted on Institute grounds, pursuant to regulations originally aimed at Icathian artifacts, and they have been expressly banned in Demacia and Piltover. INSTITUTE OF WAR— Noxian representatives have declared that, following Ionia’s refusal to voluntarily accept the refugees, it intends to temporarily seize control of the island of Shon-Xan. Under questioning, the representatives confirmed that a fleet is already en route. Ionia immediately petitioned the League to take jurisdiction over the matter, and its petition was granted. Today, the Council announced the beginning of the Shon-Xan dispute. SHURIMA DESERT— Explorers have discovered immense deposits of dark purple sand in Shurima. The sand, called pyrikhos (PEER-ih-kohss) in Shuriman, radiates magical energy of an unknown type. Considered as a whole, this pyrikhos constitutes the largest “artifact” ever found. It was found in massive deposits extending up through the surface layer of the desert, prompting speculation that it was generated by some kind of thaumic realignment. Others believe it is most likely the result of the sudden activation of a yet-undiscovered Shuriman artifact or ruined structure buried below. SHON-XAN, Ionia— A Noxian battle fleet bearing additional refugees from the Void War opened fire on the Ionian blockade after being refused passage. The Noxian ships, which also carry soldiers and supplies to reinforce existing settlements, broke through the blockade line but were stopped before reaching the ports by emissaries of the League. Control over the ports will be determined on the Fields of Justice, to avoid the collateral damage they would likely incur in direct conflict. Karma has stated that she will continue to refrain from ordering the Ionian military to remove the settlements by force, though skirmishing persists as local Ionian civilians raid the settlements. SHON-XAN, Ionia— Dozens of Ionia’s military and civilian leaders have been murdered, with the ninja clan known as the Order of the Shadow claiming responsibility. Noxus has used Zaunite war-zeppelins to airdrop elite shock troops from the Fourth and Ninth Legions. The refugee settlement has been fortified into a military encampment. Karma has ordered the Ionian army to march on the settlement. GUARDIAN’S SEA— A Noxian war fleet bearing four legions and thousands of refugees has been annihilated. The fleet was en route to reinforce the foothold established in the Noxian surprise attack last week when Demacia’s navy intercepted it at sea. It is said that the goddess Ceruleana, Demacia’s patron, appeared before the fleet and struck the Noxian commander dead with a bolt of lightning. SHON-XAN, Ionia— After months of warfare, peace has returned to the Ionian island of Shon-Xan. Ionia was victorious on the Fields of Justice, and won a League mandate ordering all Noxian troops out of Ionia. However, when the mandate took effect, Noxus did still hold the refugee settlement which had sparked the dispute, primarily due to a surprise attack against the besieging Ionian army by Zaunite war zeppelins equipped with techmaturgical gas weapons. The Council has ruled that this small parcel of land shall remain under Noxian control. It is estimated that after the gas attack’s “collateral damage” less than a quarter of the Noxian refugees who fled to Ionia are still alive. PRISMATIC GALLERY, Institute of War— Evidence and argumentation presented today purports to show that the purple sand that recently appeared in Shurima is in fact contaminated by the Void. 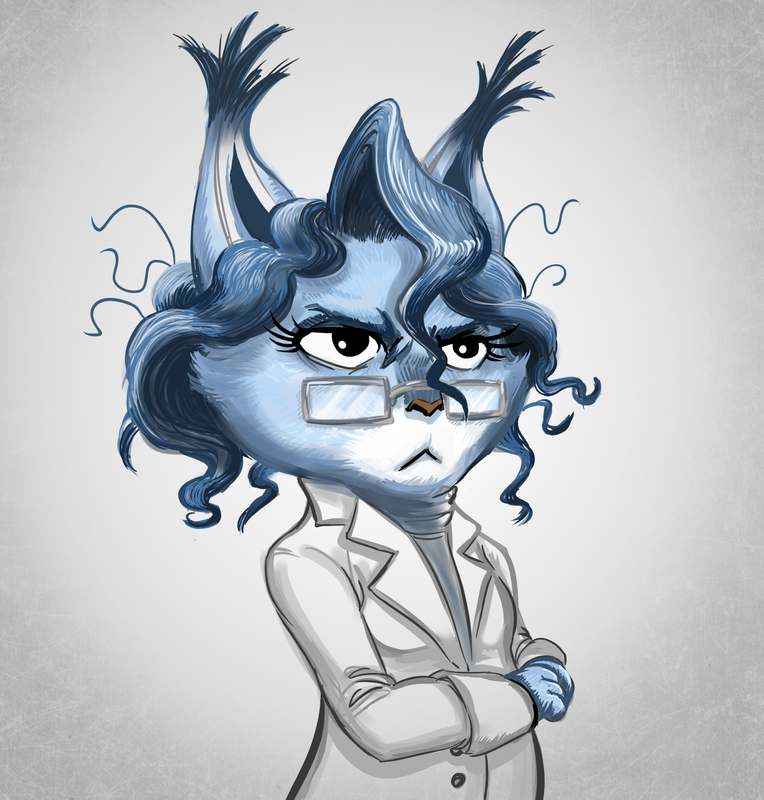 Yordle scientist “Merricurry” astonished onlookers by using a single handful of the sand to power a massive hextech engine engraved with Shuriman glyphs, and explained that she had developed a new theoretical framework which would enable the controlled use of this substance in virtually any techmaturgic device. INSTITUTE OF WAR— The Council has issued an edict forbidding any further expansion of research or mining activity within the pyrikhos fields of the Shurima Desert. League adjudication will determine which member-faction will be awarded ownership of the pyrikhos and the power to regulate its use internationally. COPPERWASH DISTRICT, Zaun— Zac has founded a school for the education and support of mutants. In addition to instruction areas and living space, the school contains medical research facilities in which students’ mutations can be studied and their side effects treated. The school was built with a grant from the Council of Zaun, which some say acceded to Zac’s request in exchange for his entry into the present League adjudication. The school’s doors opened in the wake of anti-mutant riots. PILTOVER— A great detonation of dark sand in Piltover’s research district has killed thousands of Piltovians, including many of its leading researchers. Caitlyn, the Sheriff of Piltover, has submitted evidence to the Council which shows that the explosions were caused by Zaunite sabotage. Agents of Zaunite megacorporation “PyriTek” spiked a shipment of pyrikhos with a highly unstable double-hexed pyrikhos mixture, which reacted violently when the batch was processed within Piltover’s city limits. Zaun has been sanctioned by the League. SHURIMA DESERT— Zaun has made an open display of its new hextech army, the “HexKorps”, with a parade-march through international territory within the Shurima Desert. Powered by the pyrikhos discovered there, this mechanized military is made up of rolling armored carriages, enormous metal golems, and humanoid soldiers extensively augmented with hextech components. Viktor presided over a session of “ordnance testing” using plate-armored equestrian effigies for targets. League observers accompanied the HexKorps at Viktor’s invitation, for the stated purpose of ensuring that no League laws are violated by the “purely demonstrative” maneuvers. Who Has Released The Curator From His Study? DELUVIAN LIBRARY, Institute of War— Earlier this morning, Nasus was seen consulting with Demacian Summoners over a heavy tome filled with glowing Shuriman glyphs. Not long after, Nasus approached the Council and submitted a petition to join the side of Demacia in the battle for control of the dark sand. Upon review, the Council granted the petition, awarding Demacia their Shuriman Champion at last. Just before the scroll was signed, a member of the Council asked Nasus to explain his intentions in joining Demacia and facing Zaun on the Fields of Justice, perhaps hinting at the significance of his “brother” Renekton on the opposing roster. Nasus gave only a general response. FIELD 3, Shurima Desert— Piltovian forces led by Champions Caitlyn, Vi, and Jayce caught Jinx “red-handed” gathering red sand from Council-restricted pyrikhos fields. However, the Piltovian troops who took her into custody were intercepted in neutral territory by Zaun’s HexKorps, which overpowered them and freed their prisoner. Jinx subsequently declared for Zaun in the dispute now before the League. BANDLE CITY, Yordle Land— Anxious pre-flight vigils have given way to days of riotous celebration in Bandle City as the Mothership, sacred artifact of the Yordle people, ascends to the heavens. The Mothership’s engines are powered by a novel pyrikhos-based techmaturgic fuel source. The Mothership’s safe arrival on the moon was confirmed when telescopes at Cuddlegrass Hill Observatory detected bursts of signaling fireworks. 11 dead, Zaun sanctioned; malfunction or possession? FIELD 7, Shurima Desert— One of Zaun’s enormous walking machines, a sort of metal mechanical man standing sixty feet high, went berserk outside of Zaun’s pyrikhos mines. Eleven Piltovian riflemen passing through the area under League authorization were killed by an “energy beam” spell projected from the enraged golem, which was subsequently disabled. Medical experts offer the grim consolation that the soldiers, who were charred to skeletons by the blast’s heat, surely perished instantly. Zaun’s report to the League described the incident as a “malfunction in the thaumatritic condenser tube”. In reply, Demacian representatives cited eyewitness reports of alien voices and strange purple light as evidence that the golem had been seized by demons of the Void. Zaun has been sanctioned. ALBION FORUM, Piltover— The Mayor of Piltover and a representative of the Mothership Elders have publicly signed a new treaty between Piltover and Bandle City, establishing a formal alliance between the “friendly rivals”. Both factions will remain distinct participants in the present dispute concerning Shurima, but their Champions and Summoners will provide limited assistance to one another in matches against Demacia and Zaun. They have also agreed to collaborate on research into the pyrikhos. The treaty received Council endorsement after vigorous argumentation by Summoner Mx’zm of Piltover. Today’s announcement comes on the eve of the first day of a grand tournament which will determine ownership of a large section of pyrikhos fields currently under Council control. NOXUS— Building anger against the Noxian leadership in the wake of the Shon-Xan conflict has exploded into rioting and street warfare. Grand General Jericho Swain has deployed Noxian soldiers to put down the insurrection with deadly force. At Swain’s request, Zaun has dispatched an armored HexKorps division to assist. High-profile Reformist figures have endorsed the uprising, which some are now calling a rebellion. Neither side has yet petitioned the League for intervention. Noxus has closed its gates, and it may be some time before further reliable information is available. As of this writing, smoke continues to rise from within the walls. INSTITUTE OF WAR— The Council has granted leave to each of the factions participating in the Shurima dispute to recruit new Champions for their cause. Braum, the Heart of the Freljord, has declared for Bandle City. Braum’s declaration accompanies news of a possible commercial exchange program between Bandle City’s merchant troupes and a consortium of Freljordian villages. Xerath, the Magus Ascendant, has declared for Zaun. The Council has also confirmed receipt of a petition submitted by Zaun under seal. It is rumored to concern new archaeological exploration in Shurima. Kayle, the Judicator, has declared for Demacia. It is believed that Zaun’s increasingly ambitious experimentation with Void energy provoked Kayle to enter the dispute on Demacia’s side. Although Demacia now acknowledges that cautious research into the pyrikhos may provide useful information, it continues to adamantly oppose Zaun’s “reckless” methods. Sona, the Maven of the Strings, has declared for Demacia. As an adopted member of House Buvelle, it is unusual that Sona has not been a participant in this dispute from the start. In this case, however, Demacia faced considerable legal hurdles to establishing standing, and was forced to compromise on its roster of Champions. Fiora, of House Laurent, remains on the sidelines for now. Finally, in the Council’s most contentious decision today, Rammus, the Armordillo, has been allowed to join Piltover in this competition. It was a close vote, and observers believe the pivotal moment came when Rammus answered a Zaunite advocate’s question with a subtle barb, visibly agitating her and disrupting her thus-far persuasive line of argument. IRONSPIKE MOUNTAINS— Zafion Industries has reopened a large complex of abandoned mines in the Ironspike Mountains, but not, they say, for mining. The move has ignited a firestorm of controversy among environmental activists, who unsuccessfully petitioned the Council to order the presence of League observers during the re-opening process. 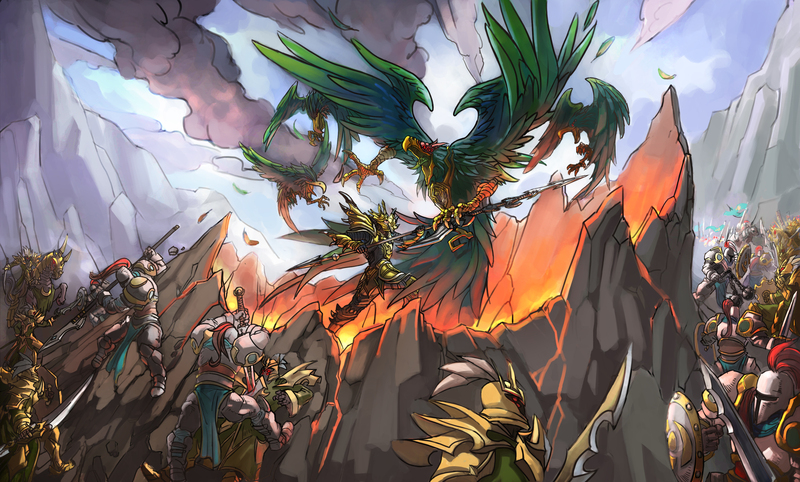 The mines were abandoned in 21 CLE when League Champion Anivia secured new environmental regulations to protect the mountain range, and have lain unused since then. Zafion representative Nida Jayanti insists that activists are making something out of nothing: “We’re aware of the controversial history of these mines. I’m not at liberty to discuss the project in detail, but I can assure you that our activities are primarily investigational, and we are committed to full compliance with the League’s environmental regulations.” Zafion acquired the mines recently. They were previously owned by PyriTek Corporation, which disbanded after being implicated in the explosive sabotage of Piltovian research facilities earlier this year. PILTOVER— A portal to the Void opened in Piltover, whence spawned hundreds of Voidlings and other demonic beasts from beyond this dimension. Sources indicate that the rift opened when engineers working on the “velocitronic rail”, a levitating pyrikhos-fueled train system designed by Jayce, increased the power above designed limits in an effort to overcome a stubborn mechanical error. The locomotive shot around the tracks, returning filled with Voidlings and having torn apart the dimensional fabric. The Piltovian First and Second Rifle Companies were summoned at once, along with several Champions of the League, who together were able to destroy the monsters. The berserk locomotive was finally shut down after being boarded by Vi. A great commotion came from within, whereupon she was heard to exclaim that she had “had enough of these motherf—ing Voidlings on this motherf—ing train!” Caitlyn had no sooner dispatched a fearsome monster resembling a rhinoceros fused with a very large octopus with additional octopuses for tentacles than she was set upon by a locally residing Summoner. The Summoner, one Ms. Z. Ko, exclaimed that Voidlings had caused considerable damage to her abode, adding that this was the third residence she had lost since arriving in Piltover. Regardless, it was still ranked higher than both Setback and Drawing Board. Seems to me those trains would be in pretty rough shape after such an event, if you follow my meaning. Though I must admit that Vi demonstrated a rather high level of badassery there which did make me smile.
. . . is it really that easy to put down a danger roll void invasion? Shouldn’t it be at the very bottom of the chart then? Come now. . . In all fairness, the invasion was so weak because Piltover had gotten a total level of two. This means that said invasion was not nearly as bad as it could have been. Sorry, I meant to say 5. But still, the invasion was not nearly as bad as it could have been. There was a definite danger of loss here, but you’re right that it was deliberately “softballed” somewhat. The main reason for this was that I didn’t want to kick Piltover while they’re down. A secondary lore reason is that one of Piltover’s major themes is careful, controlled research; their worst day should not look like Zaun’s worst day. Finally, this was the first “real” use of the military system, and I didn’t want to clumsily obliterate a faction while I tune it.